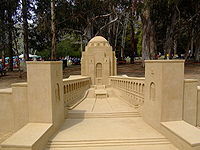 Picture - Contemporary sand sculpture rendition of the iconic Australian War Memorial in Canberra, Australia. 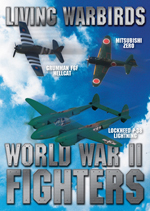 The years of warfare were the backdrop for art which is now preserved and displayed in such institutions as the Imperial War Museum in London, the Canadian War Museum in Ottawa, and the Australian War Memorial in Canberra. Official war artists were commissioned by the British Ministry of Information and the authorities of other countries. After 1914, avant-garde artists began to consider and investigate many things that had once seemed unimaginable. As Marc Chagall later remarked, "The war was another plastic work that totally absorbed us, which reformed our forms, destroyed the lines, and gave a new look to the universe." In this same period, academic and realist artists continued to produce new work. Traditional artists and their artwork developed side by side with the shock of the new as culture reinvented itself in relationships with new technologies. Pacifist artists also responded to the war in powerful ways: Mark Gertler's major painting, The Merry-Go-Round, was created in the midst of the war years and was described by D. H. Lawrence as "the best modern picture I have seen" and depicts the war as a futile and mechanistic nightmare. The commissions related to the official war artists programmes insisted on the recording of scenes of war. This undermined confidence in progressive styles as commissioned artists conformed to official requirements. The inhumanity of destruction across Europe also led artists to question whether their own campaigns of destruction against tradition had not, in fact, also been inhuman. These tendencies encouraged many artists to "return to order" stylistically. The Cubist vocabulary itself was adapted and modified by the Royal Navy during "the Great War." The Cubists aimed to revolutionize painting - and reinvented the art of camouflage on the way. British marine painter Norman Wilkinson invented the concept of "dazzle painting" -- a way of using stripes and disrupted lines to confuse the enemy about the speed and dimensions of a ship. 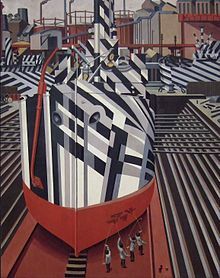 Wilkinson, then a lieutenant commander on Royal Navy patrol duty, implemented the precursor of "dazzle" on SS Industry; and in August 1917, the HMS Alsatian became the first Navy ship to be painted with a dazzle pattern. Solomon J. Solomon advised the British Army on camouflage. In December 1916 he established a camouflage school in Hyde Park In 1920, he published a book on the subject, Strategic Camouflage. Alan Beeton advanced the science of camouflage. An early influence of the War on artists in the United Kingdom was the recruiting campaign of 1914-1915. Around a hundred posters were commissioned from artists by the Parliamentary Recruiting Committee of which two and a half million copies were distributed across the country. Private companies also sponsored recruitment posters: Remember Belgium, by the Belgian-born Frank Brangwyn and The Only Road for an Englishman by Gerald Spencer Pryse were two notable examples produced on behalf of the London Electric Railways. Although Brangwyn produced over 80 poster designs during the War, he was not an official war artist. His grim poster of a Tommy bayoneting an enemy soldier (“Put Strength in the Final Blow: Buy War Bonds”) caused deep offence in both Britain and Germany. The Kaiser himself is said to have put a price on Brangwyn’s head after seeing the image. Brangwyn states in 1917 that Will Dyson's cartoons were "an international asset to this present war." His exhibition of "War Satires" in 1915 was followed by him being appointed an Australian official war artist. The Royal Academy Summer Exhibition of 1915 was noted for the paucity and general poor quality of paintings on war themes, but The Fighting-Line from Ypres to the Sea by W. L. Wyllie was noted for its bold experimentation in showing a bird's-eye view of war from an aeroplane. George Clausen's symbolist allegory Renaissance was the most memorable painting of that 1915 exhibition, contrasting ruins and oppression with dignity and optimism. When exhibited in the spring of 1916, Eric Kennington's portrayal of exhausted soldiers The Kensingtons at Laventie, Winter 1914 caused a sensation. Painted in reverse on glass, the painting was widely praised for its technical virtuosity, iconic colour scheme, and its ‘stately presentation of human endurance, of the quiet heroism of the rank and file’. Kennington returned to the front in 1917 as an official war artist. The general failure of academic painting, in the form of the Royal Academy, to respond adequately to the challenges of representing the War was made clear by reaction to the 1916 Summer Exhibition. Although popular taste acclaimed Richard Jack's sentimental Return to the Front: Victoria Railway Station, 1916, the academicians and their followers were stuck in the imagery of past battle pictures of the Napoleonic and Crimean eras. Arrangements of soldiers, officers waving swords, and cavalrymen swaggering seemed outdated to those at home, and risible to those with experience of the front. A wounded New Zealander standing in front of a painting of a cavalry charge commented that "one man with a machine-gun would wipe all that lot out." It was therefore not to a painter of the academic style but to an artist in black-and-white that recourse was made when Charles Masterman, head of the British War Propaganda Bureau and acting on the advice of William Rothenstein, appointed Muirhead Bone as Britain's first official war artist in May 1916. In April 1917 James McBey was appointed official artist for Egypt and Palestine, and William Orpen was similarly sent to France. Orpen's work was criticised for superficiality in the pursuit of perfectionism: "in the tremendous fun of painting he altogether forgot the ghastliness of war". The most popular painting in the Royal Academy Exhibition of 1917 was Frank O. Salisbury's Boy 1st Class John Travers Cornwell V.C. depicting a youthful act of heroism. But of more artistic importance in 1917 was the establishment on 5 March of the Imperial War Museum and the foundation during the summer of the Canadian War Memorials Fund by Lord Beaverbrook and Lord Rothermere and significant work by Australian war artists. David Bomberg's experiences of mechanized slaughter and the death of his brother in the trenches - as well as those of his friend Isaac Rosenberg and his supporter T. E. Hulme - permanently destroyed his faith in the aesthetics of the machine age. This can be seen most clearly in his commission for the Canadian War Memorials Fund, Sappers at Work (1918-1919): his first version of the painting was dismissed as a "futurist abortion" and was replaced by a second far more representational version. At the 1918 Royal Academy exhibition, Walter Bayes' monumental canvas The Underworld depicted figures sheltering in a Tube station during an air raid. Its sprawling alien figures predate Henry Moore's studies of sheltering figures in the Tube during the Blitz of World War II. Walter Richard Sickert's The Integrity of Belgium, painted in October 1914, was, when exhibited in Burlington House in January 1915 at an exhibition in aid of the Red Cross, recognised as the first oil painting exhibited of a battle incident in the Great War. Picture - John Singer Sargent's Gassed presents a classical frieze of soldiers being led from the battlefield -- alive, but changed forever by individual encounters with deadly hazard in war. Among the great artists who tried to capture an essential element of war in painting was Society portraitist John Singer Sargent. In his large painting Gassed and in many watercolors, Sargent depicted scenes from the Great War. British painter Wyndham Lewis was appointed as an official war artist for both the Canadian and British governments, beginning work in December 1917 after Lewis' participation in the Third Battle of Ypres. For the Canadians he painted A Canadian Gun-Pit (1918, National Gallery of Canada, Ottawa) from sketches made on Vimy Ridge. For the British he painted one of his best known works, A Battery Shelled (1919, Imperial War Museum)(see ), drawing on his own experience in charge of a 6-inch howitzer at Ypres. Lewis exhibited his war drawings and some other paintings of the war in an exhibition, "Guns", in 1918. An unlikely war artist was Sir Alfred Munnings, who is best known as a painter of purebred racehorses; but he turned his painter's skills to the task of capturing images of the Canadian Cavalry Brigade in the war. His mounted portrait of General Jack Seely (later Lord Mottistone) on his charger Warrior achieved acclaim. Forty-five of his canvasses were exhibited at the "Canadian War Records Exhibition" at the Royal Academy, including Charge of Flowerdew's Squadron at Moreuil Wood in March 1918. Lieutenant Gordon Flowerdew of Lord Strathcona's Horse cavalry, was awarded the Victoria Cross for leading the attack. Picture - Over The Top, 1918, oil on canvas, by John Nash, Imperial War Museum. British painter John Nash believed that "the artist's main business is to train his eye to see, then to probe, and then to train his hand to work in sympathy with his eye." The artist's most celebrated war painting is Over the Top (oil on canvas, 79.4 x 107.3 cm), now hanging in the Imperial War Museum, London. In this painting, the artist presents an image of the attack during which the 1st Battalion Artists Rifles (28th London Regiment) left their trenches and pushed towards Marcoing near Cambrai. Of the eighty men, sixty-eight were killed or wounded during the first few minutes. As soon as our line, set on its jolting way, emerged, I felt that two men close by had been hit, two shadows fell to the ground and rolled under our feet, one with a high-pitched scream and the other in silence like an ox. Another disappeared with a movement like a madman, as if he had been carried away. Instinctively, we closed ranks and pushed each other forward, always forward, and the wound in our midst closed itself. 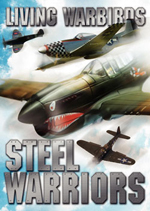 The warrant officer stopped and raised his sword, dropped it, fell to his knees, his kneeling body falling backwards in jerks, his helmet fell on his heels and he remained there, his head uncovered, looking up to the sky. The line has promptly split to avoid breaking this immobility. But we couldn't see the lieutenant any more. No more superiors, then... A moment's hesitation held back the human wave which had reached the beginning of the plateau. 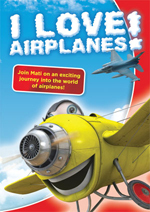 The hoarse sound of air passing through our lungs could be heard over the stamping of feet. Forward! cried a soldier. So we all marched forward, moving faster and faster in our race towards the abyss. Nash's scene of devastation in We Are Making a New World used the destruction of the countryside as a bitterly ironic comment on war. Picture - Portrait of Arthur Streeton (1917) by George Lambert. Picture - "Amiens, the key to the west" by Arthur Streeton, 1918. Australian painter Arthur Streeton was an Australian Official War Artist with the Australian Imperial Force, holding the rank of lieutenant. He served in France attached to the 2nd Division. Streeton brought something of the antipodes Heidelberg school sensibility to his paintings of an ANZAC battlefield in France. Streeton's most famous war painting, Amiens the key of the west shows the Amiens countryside with dirty plumes of battlefield smoke staining the horizon, which becomes a subtle image of war. As a war artist, Streeton continued to deal in landscapes and his works have been criticised for failing to concentrate on the fighting soldiers. Streeton aimed to produce "military still life", capturing the everyday moments of the war. Streeton observed that, "True pictures of battlefields are very quiet looking things. There's nothing much to be seen, everybody and thing is hidden and camouflaged." Picture - The casting of the figure atop the memorial at Mont St. Quentin memorial -- Charles Gilbert's studio in, Fitzroy, Melbourne. This heroic sculpture was designed as a part of the Mont St. Quentin Memorial which was dedicated in the mid-1920s at Mont St. Quentin, France. 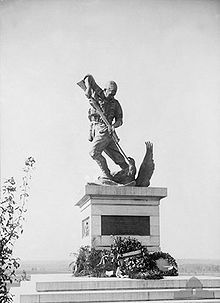 The original memorial to the men of the 2nd Australian Division features an heroic bronze statue of an Australian soldier bayoneting a German eagle. The statue on top of the memorial and the bas reliefs on its sides, which were sculpted respectively by Lieutenant Charles Web Gilbert and May Butler-George, were removed by the occupying German Army in 1940. They were later replaced with a new statue and new reliefs. Picture - The Mont St. Quentin memorial (c. 1925) commemorates the men of the Australian Imperial Forces (AIF) and their contribution in the battle which was fought in this area. 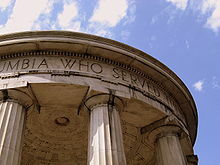 In London, the Guards Memorial was designed by the sculptor Gilbert Ledward in 1923-26. The edifice was erected on Horse Guards Parade and dedicated to the five Foot Guards regiments of World War I. The bronze figures were cast from guns from the Great War, commemorating the First Battle of Ypres and other battles. Alfred Noyes is often portrayed by hostile critics as a militarist and jingoist. In 1913, when it seemed that war might yet be avoided, he published a long anti-war poem called The Wine Press. During Word War I, Noyes was debarred by defective eyesight from serving at the front. Instead, from 1916, he did his military service on attachment to the Foreign Office, where he worked with John Buchan on propaganda. He also did his patriotic chore as a literary figure, writing morale-boosting short stories and exhortatory odes and lyrics recalling England's military past and asserting the morality of her cause. These works are today justly forgotten, apart from two ghost stories, "The Lusitania Waits" and "The Log of the Evening Star", which are still occasionally reprinted in collections of tales of the uncanny. John Masefield submitted a report to the British Foreign Office, and suggested that he be allowed to write a book about the failure of the allied efforts in the Dardanelles, which possibly could be used in the US in order to counter what he thought was German propaganda there. As a result, Masefield wrote Gallipoli. This work was a success, encouraging the British people, and lifting them somewhat from the disappointment they had felt as a result of the Allied losses in the Dardanelles. Due to the success of his wartime writings, Masefield met with the head of British Military Intelligence in France and was asked to write an account of the Battle of the Somme. Although Masefield had grand ideas for his book, he was denied access to the official records, and therefore, what was to be his preface to the book was published as "The Old Front Line", a description of the geography of the Somme area. In the early weeks of the war, British poets responded with an outpouring of literary production. Rudyard Kipling's For all we have and are aroused most comment. Robert Bridges, Poet Laureate, contributed a poem Wake Up, England! at the outbreak of war that he later wished suppressed., John Masefield, who later succeeded Bridges as Poet Laureate, wrote August, 1914, a poem that was widely admired. This brief statement became the basis for a play based on the friendship between Owen and Siegfried Sassoon in 1917. The poem In Flanders Fields, by John McCrae, continues to be one of the most popular wartime poems in Canada, and has achieved a status where it is recognized as one of the country's most notable unofficial symbols. The war and its aftermath continues to remain a potent focal point for a fresh perspective and evaluation-as in, for example, the "relentlessly picturesque" 1994 film Legends of the Fall starring Brad Pitt, Anthony Hopkins, Aidan Quinn, Julia Ormond, and Henry Thomas. Picture - The World War I Memorial in Washington, D.C. shows the effects of the passing years. Rankin, Nicholas (2008). Churchill's Wizards: The British Genius for Deception 1914-1945. Faber and Faber. 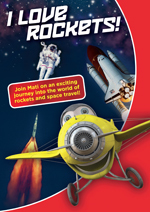 ISBN 978-0-571-22196-7.